Any time a fighter ends up gassed out and face down on the canvas, the simple reaction is to point the finger at a lack of conditioning as the cause. Everyone from forum warriors to fight commentators alike often leap to this conclusion, quickly writing off the loss with discussions of how he or she must not have trained hard enough or worked on conditioning sufficiently to last through the fight. Although such an analysis can appear to make perfect sense on the surface – after all, everyone know what it looks like when a fighter runs out of gas – the truth is that conditioning is a much more complex and multifaceted aspect of the fight game than people have been led to believe. In order to understand why this is the case and why trying to uncover the cause of a fighter “gassing out” is not always easy as it appears, it needs to be clear exactly what conditioning is, and is not, in the first place. The first thing that needs to be understood about conditioning is that literally every single fighter out there has the ability to fight from bell to bell without gassing out, the only difference is the pace that they’d be able to maintain if they want to do so. This is because when it comes right down to it, just about everybody can walk a mile, but only a very small handful can run it in less than four minutes. Along the same lines, every fighter could make it through three or five rounds, but only those with a high level of conditioning can make it through while maintaining a high level of power throughout. In other words, in the fight game, conditioning is really a measure of how much power a fighter is able to sustain over the course of a fight. Fighters with the world-class conditioning can sustain a tremendously high power output without slowing down, just like how Lance Armstrong can ride a bike for hours on end at a speed that most could only hit for a minute or two. Those with poor conditioning, on the other hand, can only maintain much lower speeds and levels of power and as soon as they try to hit the high gear, they quickly fatigue and gas out. 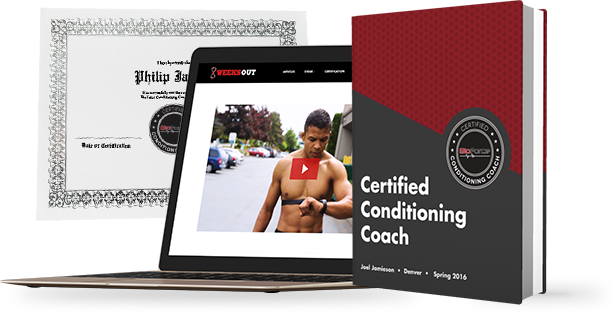 Want To Learn How You Can Win The Conditioning War? Click now to learn more about our ultimate conditioning guide that will show you how to get in shape faster than ever with a proven system used by more than 30 of today’s top MMA pros. This simple model, well developed and research-backed, shows that every fighter has some level of power that they can produce aerobically called their Maximum Aerobic Power. As soon as this anaerobic energy reserve starts getting used, however, it starts to lead to fatigue and the longer an athlete uses it, the more they fatigue. The only way to avoid this is to drop power output lower and get back into the aerobic power zone. Because combat sports are so explosive and dynamic in nature, every fighter has to constantly tap into their anaerobic power reserve throughout a fight. The difference, however, is how much they have to tap into it and for how long. If a fighter is capable of producing a very high level of aerobic power, they won’t have to tap into their anaerobic reserves as often, or for as long, as someone that’s much lower, for example. Obviously, each fighter also has a choice of how much energy they expend and whether they throw everything they have in a strike or take something off; whether they go for the take-down when their opponent has it well defended; and whether they use as much energy as they can and go for the win or if it’s not the right time. What all this means is that gassing out is the result of tapping into the anaerobic power reserve too much, either too frequently and/or for too long. every fighter can control their pace and choose how much energy they expend and even more, when they expend it. Some fighters can produce a ton of aerobic power and they don’t have to hit this afterburner as often. Others have lower aerobic power levels and end up tapping into their anaerobic power almost constantly. In either case, every fighter can control their pace and choose how much energy they expend and even more, when they expend it. They can choose to wait for the right moments to strike with everything they have, wait for their opponent to be off balance before going for the takedown. Alternatively, they can carelessly deplete their energy and swing for the fences with every punch and crank on submissions that just aren’t there. In other words, pacing is about choosing when to tap into the anaerobic power reserve and how long to stay there for. The best fighters know the pace they can maintain if they want to last all fight. They know when to explode and go for the finish and when to save their energy. Less experienced and less savvy fighters, on the other hand, use their energy inefficiently and constantly draw from their anaerobic power reserve when it’s unnecessary, often leaving them gassed out as a result. In order to avoid carelessly gassing out, there are some simple keys to developing the right pacing strategy and managing energy the right way to last from bell to bell, regardless of your conditioning level. Aside from taking mental notes and being aware of your pace, using a heart rate monitor can be extremely valuable for providing you with concrete feedback about your work level and pace. Even though every athlete has a different balance of energy production and taps into their anaerobic power reserve at different points, very few fighters are able to sustain heart rates into the upper 170’s and 180’s without quickly starting to gas out. With the use of a simple heart rate monitor, you’ll be able to accurately gauge how hard you’re really working and keep track of your pace. Whenever you’re training hard and you find your heart rate running up into its highest zones, greater than 90% of your maximum heart rate, you’ll know that it’s time to slow your pace until it drops back down. Most heart rate monitors will even allow you to set an audio alarm to go off whenever you reach a particular heart rate. This type of monitoring can provide you with real-time feedback during your training and really help you fine-tune and maximize your own pacing strategy. Learn more about how to use a heart rate monitor HERE. 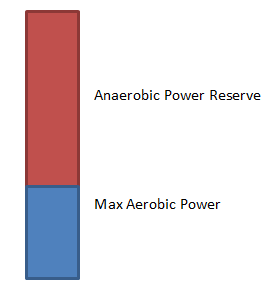 As discussed earlier, all combat sports require a delicate blend of both aerobic and anaerobic energy: the anaerobic side provides for a high level of explosive power and strength, while the aerobic side is largely responsible for supporting the endurance necessary to last from bell to bell. At all times throughout a fight, both systems are contributing to some extent to give the fighter the energy he or she needs to throw explosive strikes, execute or defend take-downs, go for submissions, etc. If it were possible to develop both energy systems to the highest levels, conditioning would never be an issue. Unfortunately, the human body simply doesn’t work that way and the development of one of the systems often comes at the expense of the other. This is why the biggest, strongest fighters, the ones capable of the most anaerobic power, are so often the ones with the biggest conditioning problems. Those with the highest levels of endurance, on the other hand, tend to be far less explosive than their more anaerobically fit counterparts. This means that ensuring you’re able to last from bell to bell while maintaining the ability to be explosive largely comes down to finding the right balance of energy system development. Too much of either energy system and you’ll likely have a hole in your game, either leaving you without the strength and power to finish opponents and control the fight, or leaving you unable to make it through a fight without gassing out. Achieving the right balance between the two systems through an effective training program is absolutely essential to being able to maintain the pace that’s required to win fights. Learn more about how to train your energy systems HERE. Without question, the most important component of an effective pacing strategy is using your energy wisely. You must show discernment in picking the right moments to tap into your anaerobic energy reserve. It’s not an endless resource. Knowing when to explode and go for the KO or submission and when to give up on the takedown or let go of the guillotine is very often the difference between gassing out and getting through the round. Unfortunately, the efficient use of energy is an area where many fighters make their biggest mistakes. Throwing everything they have into each strike, going for submissions that they just don’t have, wasting energy on takedowns their opponent isn’t going to give up, and general carelessness in energy usage is the number one reason why fighters that are generally in good shape end up gassing out. When this happens, some fighters learn their lesson and become smarter and more cautious with how they use their energy, and some don’t. If you want to be able to last until the end, you have to learn when to explode, and when to wait.